Kraft Foods Inc. announced Tuesday it will take steps including a cap on portion sizes and the elimination of in-school marketing to help fight obesity. "We want to make sure that what we sell and how we sell it are responsive to changing patterns of diet, activity and health," said Kraft spokesman Michael Mudd, senior vice president for corporate affairs. The Northfield-based company, which makes Kraft cheese, Nabisco cookies and crackers, Oscar Mayer meats and Post cereals, said the changes will not be immediate. "We're going to take the rest of the year working with an outside advisory council of experts to help us work through all the standards and measures for implementing the commitments we've made," Mudd told CBS Radio News. The panel's task will include recommending improved nutritional content of products and providing alternative products where appropriate. Its ten members will be assembled from international experts on behavior, nutrition, health and communications, and will determine the appropriate calorie content or other health standard for individually packaged foods — such as snack packs of Oreo cookies. "Any existing products that are above that level will be reduced in size," he said. "Any that are at or below will be just fine the way they are." The standards likely will vary among product types, he said, with more calories allotted for meals than snacks or desserts. "The changes we will be making will be on a product-by-product basis, and where it makes sense to talk to consumers to talk to consumers about any changes we've made, will be made on that product-by-product basis," Mudd added. 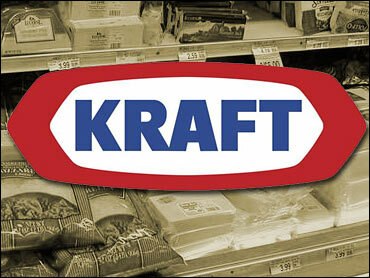 Kraft declined to comment on any price changes, saying its products would be priced "competitively." The company also will halt all in-school marketing techniques, such as providing book covers and posters, scoreboard sponsorships, contests and product samples, Mudd said. Products still will be stocked in school vending machines, though the advisory panel could decide some products now stocked there are inappropriate. Some question the company's motives but applaud the potential result. Dr. Henry Anhalt, director of pediatric endocrinology at New York's Infants and Children's Hospital of Brooklyn at Maimonides, said he thinks Kraft is trying to avoid lawsuits such as those that have hit the tobacco industry. "Although I may question what their motivation is, anything that can perhaps decrease portion sizes and caloric intake in kids can have dramatic effects on obesity," he said. Anhalt said children typically treat a 20-ounce soda bottle as one serving, while it actually contains 2.5. Taken daily, the difference can translate into 18 pounds a year, he said. Mudd said the company is making the changes because it's the right thing to do, but added, "If it also discourages a plaintiff's attorney or unfair legislation, that's just fine with us." "What people eat is ultimately a matter of personal choice, but we can help make it an educated choice," said Roger Deromedi, co-CEO at Kraft. "And helping them get more active is every bit as important as helping them eat better." The company's stated commitments include encouraging children to develop better eating and activity habits; providing nutrition labeling worldwide; advocating public policies to improve fitness and nutrition in schools and communities; and increasing public dialogue. The company said it hopes to develop its standards by the end of the year and implement them over two to three years.